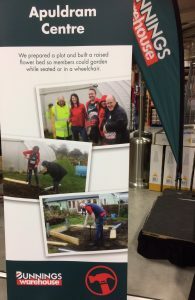 We were delighted to be invited to the opening launch of Bunnings warehouse Chichester today and are looking forward to working them going forward. Their community team recently visited the Day Centre and built a dedicated raised flower bed to enable our less mobile beneficiaries to garden while seated. 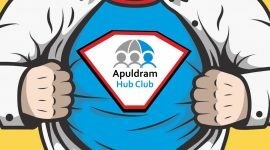 On Saturday 13th January and Sunday 14th January we will be at the store participating in their community “Sausage Sizzle” with all proceeds from BBQ sales going to the Apuldram Centre. Watch this space for more events.